If you are ordering more than 24 copies, we can offer you deeper discounts. Please contact us at shop@benbellabooks.com to receive specific quotes and process your order. Adding this pre-order to your cart will remove any items currently in the cart. Pre-orders must be ordered separately. What ebook format do I need? Open industry format known for its compatability with almost all e-readers and mobile devices (except Amazon Kindle). The eBook format compatible with the Amazon Kindle and Amazon Kindle applications. The popular standard, used most often with the free Adobe® Acrobat® software. The appeal of AMC’s award-winning period drama Mad Men, shortly to begin its fifth season, lies as much in its painstaking portrait of 1960s America as in the emotional lives of its characters. In The Unofficial Mad Men Cookbook, Judy Gelman and Peter Zheutlin present a guide to the show’s culinary backdrop, from Sterling Cooper power lunches to Draper dinner parties. 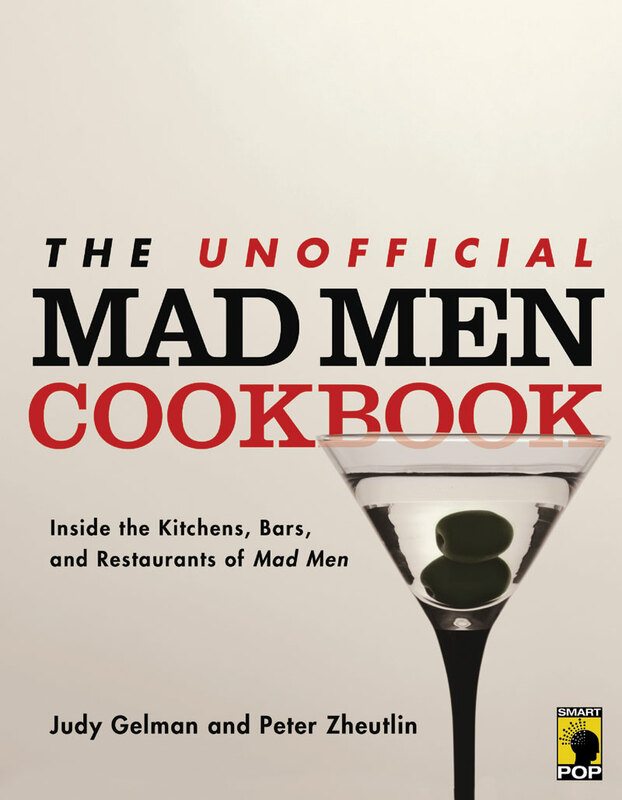 With more than 60 recipes, photos, and other images all drawn from the period, The Unofficial Mad Men Cookbook is perfect for history buffs and fans planning Mad Men dinner parties alike. Find out why Betty might have chosen her “Around the World” dinner party theme—plus why Don’s Heineken ad campaign would have been so well-received by the public—and try Betty’s gazpacho from Spain, using a recipe Betty herself might have. Learn why Sardi’s, the restaurant where Bobbi Berret and Don celebrate selling her husband’s new pilot, was a likely location for post-TV deal celebration, and make Sardi’s famous steak tartar for yourself. Includes a color photo insert of 16 dishes, plus additional black and white photos and other images of bars, restaurants, and food advertisements from the 1960s. 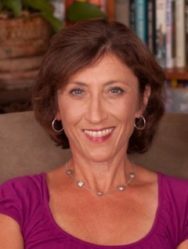 Judy Gelman is co-author of The Book Club Cookbook: Recipes and Food for Thought from Your Book Club’s Favorite Books and Authors (Penguin, 2004), the first cookbook designed for book discussion groups. 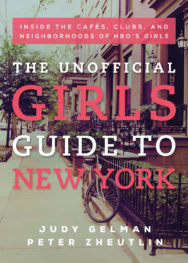 The second edition of The Book Club Cookbook will be published in 2012. She is also co-author The Kids’ Book Club Book: Reading Ideas, Activities, and Smart Tips for Organizing Terrific Kids’ Book Clubs (Penguin, 2007) and Table of Contents: From Breakfast with Anita Diamant to Dessert with James Patterson – a Generous Helping of Recipes, Writings and Insights from Today’s Bestselling Authors (Adams, 2010). She is co-creator of bookclubcookbook.com and kidsbookclubbook.com. She speaks about cooking, food and reading to book and food enthusiasts across the country. Peter Zheutlin is the author of Around the World on Two Wheels: Annie Londonderry’s Extraordinary Ride (Citadel Press, 2007) and the co-author, with Thomas B. Graboys, M.D., of Life in the Balance: A Physician’s Memoir of Life, Love and Loss with Parkinson’s Disease and Dementia (Union Square Press, 2008). He is also the co-author, with Robert P. Smith, of Riches Among the Ruins: Adventures in the Dark Corners of the Global Economy (Amacom, 2009). Mr. Zheutlin has also written for The Boston Globe, The Christian Science Monitor, The Los Angeles Times, The New England Quarterly and numerous other publications in the U.S. and abroad. Dimensions: 6 x 9 x 1 in.